The Peoples Democratic Party (PDP) has described the booing of members of the All Progressives Congress (APC) at a presidential rally in Abeokuta, Ogun State, on Monday, as proof of President Muhammadu Buhari’s four years of “misrule”.Recall that a rowdy session erupted at the Ogun APC rally when the National Chairman of the party, Comrade Adams Oshiomhole, stepped on the podium to address the people. 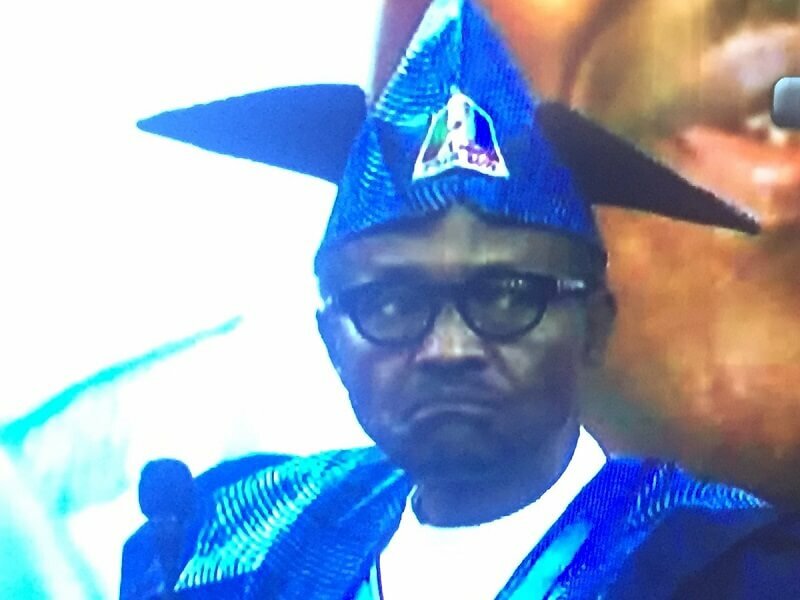 The crowd embarrassed the APC campaign team by throwing objects towards the podium, and didn’t stop even when President Buhari stepped on stage to address them. Reacting to the incident, the opposition PDP said, “the public pelting and jeering at President Muhammadu Buhari and his All Progressives Congress (APC), during his election campaign rally in Abeokuta, Ogun state, is a direct response by Nigerians to his four years misrule as depicted in the expansion of poverty, corruption, divisiveness and bloodletting in our nation.”Speaking in a statement by its presidential campaign spokesperson, Kola Ologbondiyan, the party said: “It is instructive to note that Mr. President was pelted in Abeokuta barely 24 hours after his Zamfara state rally on Sunday, where he attempted to incite Nigerians to join the APC in their planned resort to violence to derail the 2019 general election, having realized that they stand no chance of winning the election. “The people of Ogun state, and indeed, the South West, have shown that they are in direct alignment with other states and geo-political zones of our country in rejecting President Buhari and Vice President Yemi Osinbajo, whose administration has foisted so much injustice and brought unprecedented pain and anguish to Nigerians. “Mr. President can now see that Nigerians cannot be bought with N10,000, as he was made to believe by Prof. Osinbajo and members of the cabal in his Presidency. “After the unpalatable encounters in all his rallies, Mr. President needs no further signal to show him that the people have completely rejected him, despite his false performance indices. Nigerians are determined to deal him a crushing defeat on February 16 by voting enmasse for the people’s candidate, Atiku Abubakar, as the next President of our country.